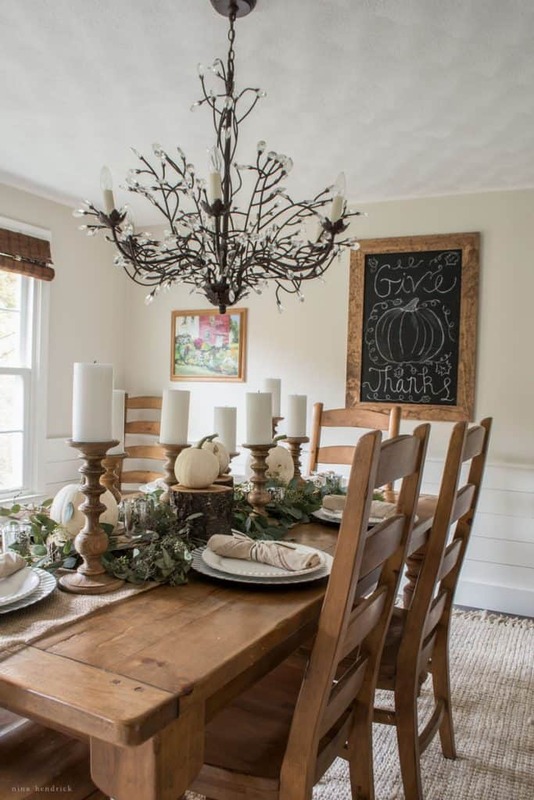 Rustic Thanksgiving Dining Room | Nina Hendrick Design Co.
Rustic Thanksgiving Dining Room | Gather Thanksgiving inspiration from this harvest themed rustic tablescape from Nina Hendrick Design Co. Happy Thanksgiving! It’s hard to believe that the holidays are so quickly upon us. 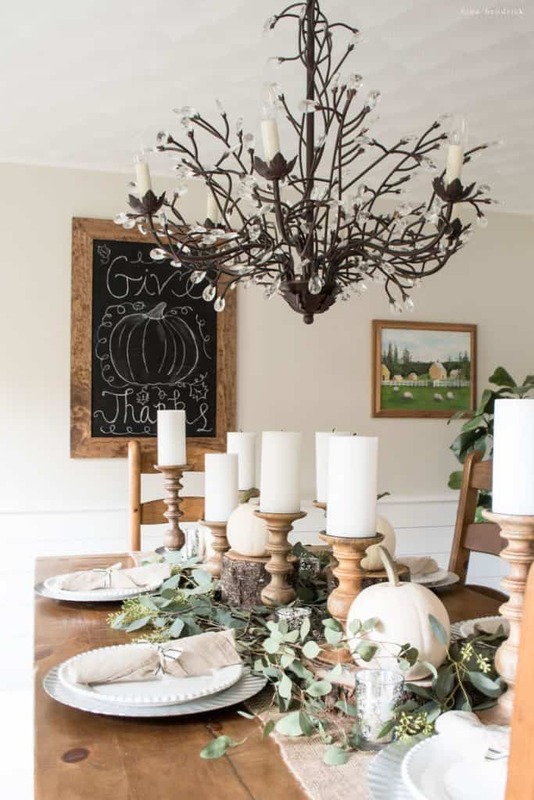 I enjoyed thinking about the family gatherings and memories to come as I decorated my dining room to bring you this Thanksgiving inspiration. A big thank you to Kelly from Live Laugh Rowe and Jenn from My Fabuless Life for organizing such a fun event! 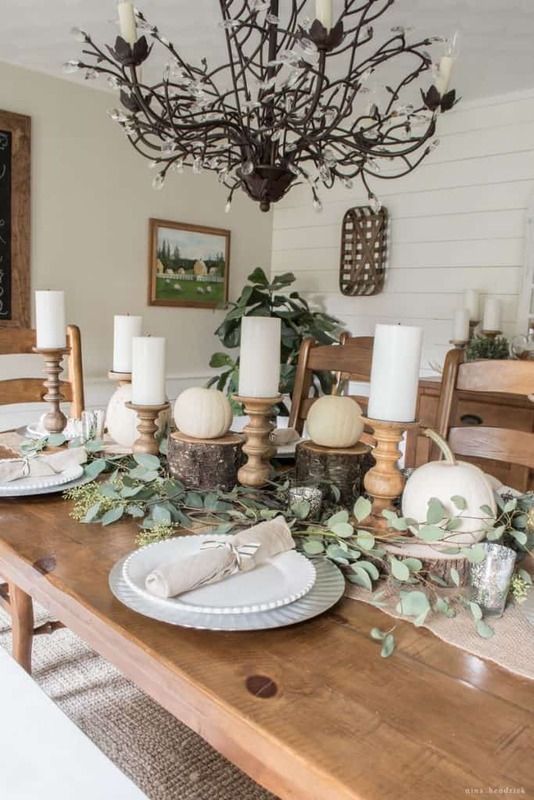 I admittedly had been in a bit of a decorating rut lately, but this tablescape seemed to pull me out of it and emerge naturally. 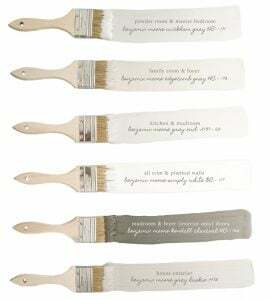 It has some of my favorite elements- rustic wood, glittering mercury glass, and lovely greens. 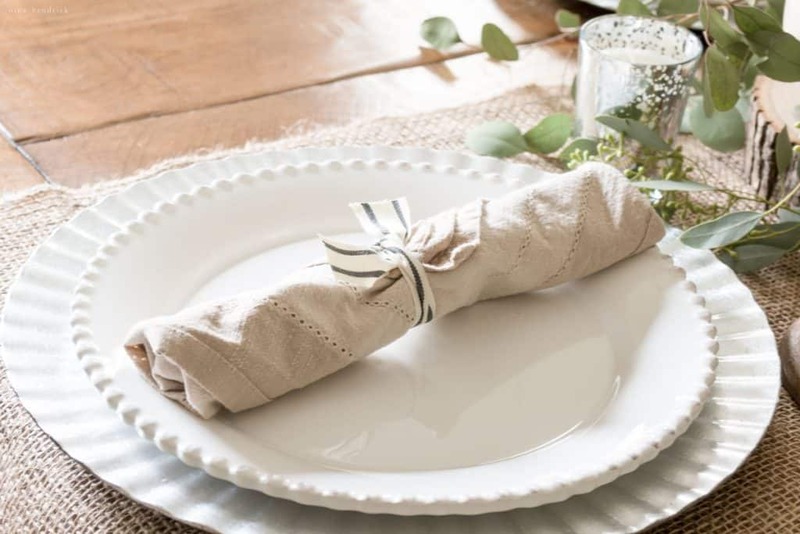 I kept the place setting very simple with a metal charger, versatile white plates, and silverware wrapped in a hemstitch napkin with my favorite ribbon. 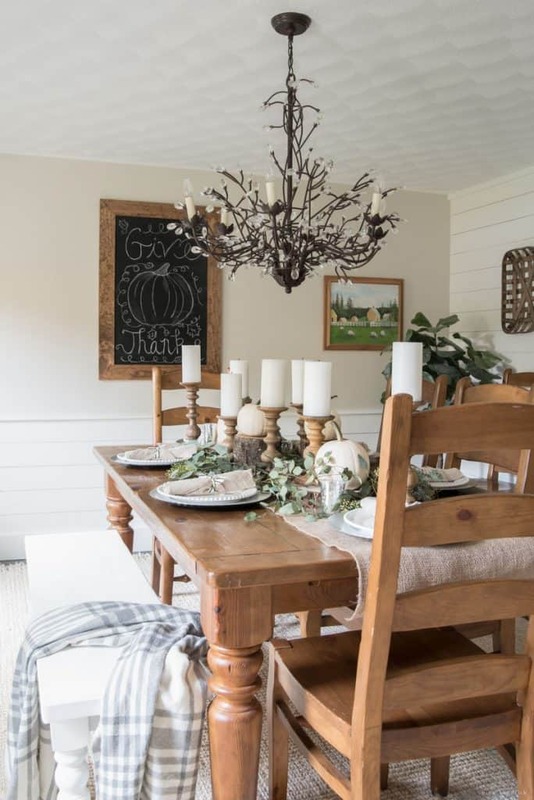 A cider bar is always a must when entertaining in the fall. The buffet was dressed up with some apple cider and some fall touches for the occasion. I tried my hand at chalkboard art for the first time. There’s some room for improvement, but it wasn’t anywhere near as intimidating as I had built it up to be. It also didn’t take as much time to sketch out this design as I had feared. I went a bit more dramatic than usual with my centerpiece. I’m loving the effect of the many wooden candle holders. We are having a very small gathering for Thanksgiving this year. I’m not sure that we will even eat in the dining room! Chances are very high that it will be decorated for Christmas long before then. 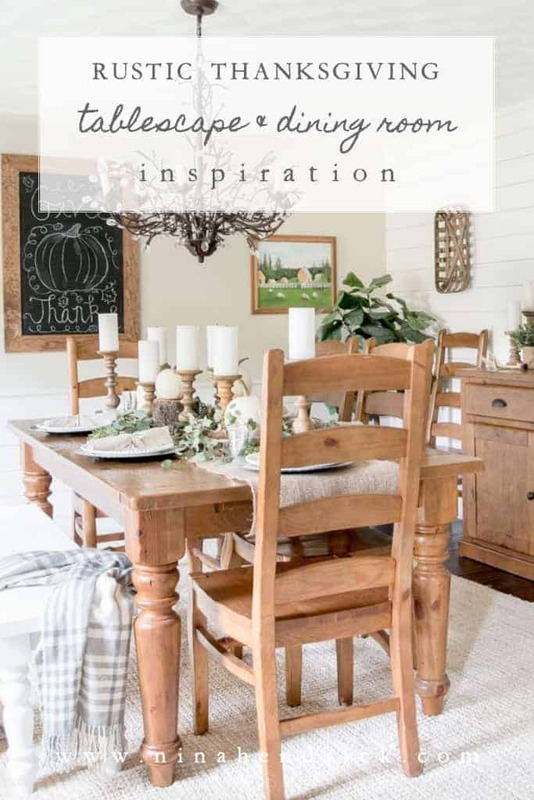 I’m excited to show you all of the inspiration I’m dreaming up! I hope that you and your family have a festive and memorable Thanksgiving gathering filled with laughter and delicious food! 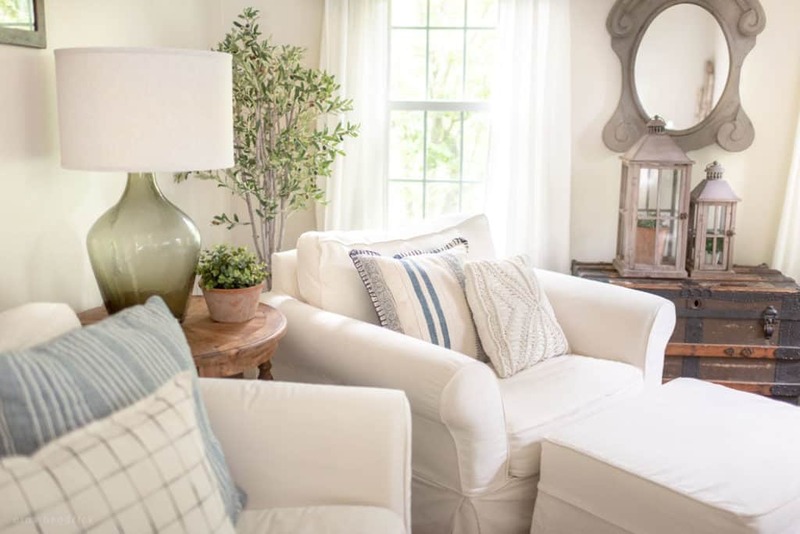 Make sure to stop by and visit some of the other lovely inspiration on this tour! 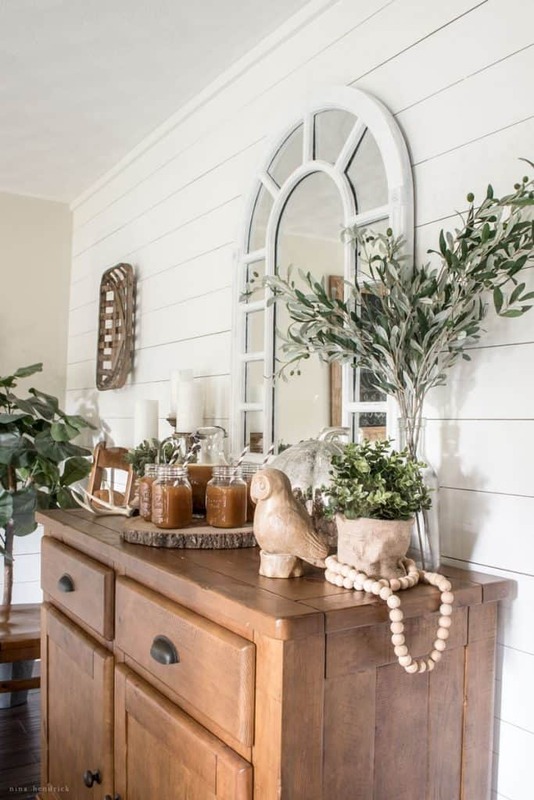 Oh my gosh I am loving that mirror with your cider bar! Where did you find it? 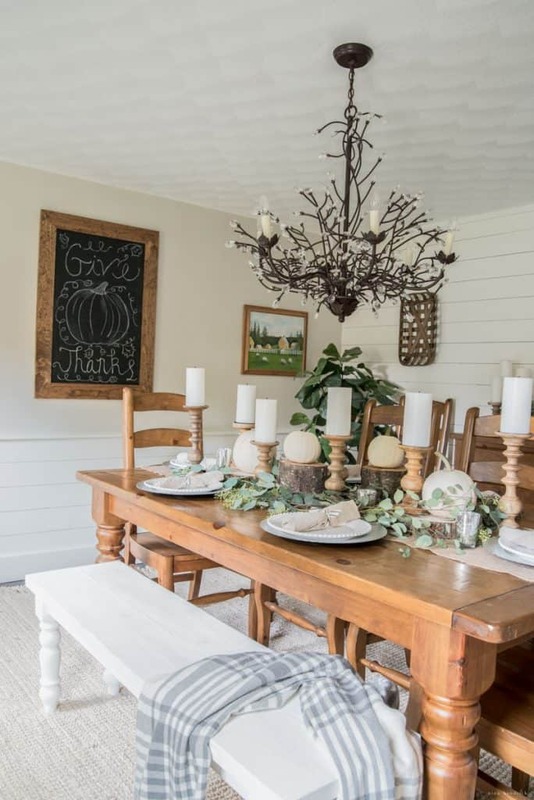 Nina, I’m always so blown away by your beautiful home especially this gorgeous dining room. I love your creative style! 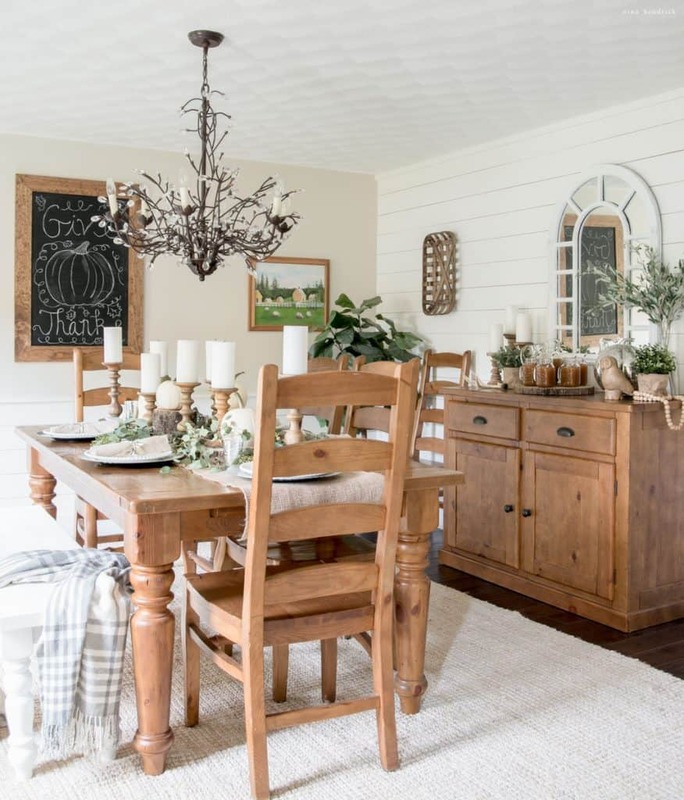 Your dining room is so gorgeous and those pillar candles are everything. I love it all! This whole room! Its lovely! That chandelier is amazing!